I wasn’t sure whether to call this recipe pot roast or stew, you be the judge. 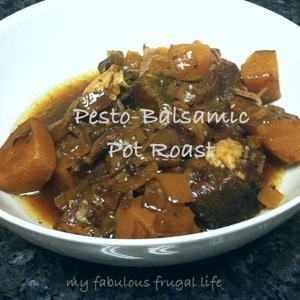 Either way, this slow cooker pot roast recipe is absolutely fabulous – easy, fast, frugal, and delicious! 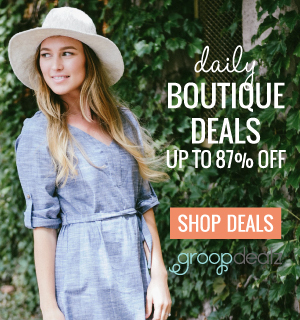 2 or more cloves of garlic – my family likes a handful! Chop and slice all of the vegetables. Add to slow cooker. Add garlic to slow cooker. 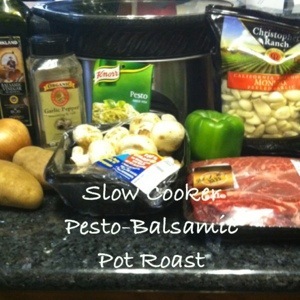 Place chuck roast on top of vegetables in slow cooker. Sprinkle pesto seasoning and pepper over meat. Pour balsamic vinegar over meat. 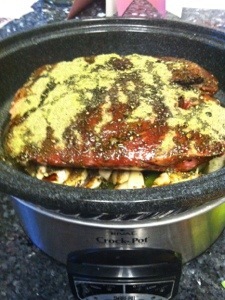 Place lid on slow cooker, set to low and cook for 6 hours or more. To serve, carefully remove roast with tongs and place on platter/dish. Scoop vegetables and broth into bowls, top with roast. When I made this last week, my husband told me it is the best thing I make in the crock pot and that I could make it every week! One warning, the balsamic vinegar will make the meat extremely dark, don’t be alarmed – it isn’t burnt. I hope you enjoy this recipe as much as my family does. Give it a try, it will make your afternoon and evening so much easier knowing that dinner will be ready when you get home! The bread in coconut is also a ftaroive of mine! It is called Poun-mont-ohn-noet-zahn (bread sprinkled with coconut milk). It is much better if you spread salted butter onto the bread, top it with a dollop of (cooked) tapioca (sago) and a spoonful of palm sugar syrup (“htan-nyet-yeh”) before pouring a good amount of coconut milk over! I put this on at 1, my house smells AMAZING! Can hardly wait until dinner. The recipe was DELICIOUS! The meat was tough. But this I think is a problem with Raley’s. My mom mentioned a couple weeks ago she made a pot roast that was super tough, and when I inquired more after making this, looks like we bought ours around the same time. BOO Raley’s! Glad your dinner was good! Too bad about the tough meat. I’ve found the longer I cook things in the crock pot, the better. I like your idea of using jarred pesto.